With the recent advancements in DSLR and Mirroless technology, Bayer/Fovean/X-Trans sensors, resolution, lenses etc it's easy to get overwhelmed by technology. What should you buy? What budget should you set out? What camera system should you go with? Every system has their pros and cons. With the incredibly heated debates which I often see eventually descend into personal attacking matches, it's clear that the argument of what one should use is anything but dying down. There are numerous websites you can Google that will explain the pros and cons of each system, the minute technicalities, why you should get this camera over that one etc. It's easy to get lost in it all. Here I'll be providing brief summaries over a multi-part series to try explain what I consider the important aspects, and arm you with more information so you can make an informed decision on your next big purchase. The investment in a system can become substantial over time, so best you go into it with a good idea of what you want. The descriptions below are by no means exhaustive, and are mixed with my personal experiences, having used multiple camera systems. Resolution: In its classical definition, the distance two lines could be spaced apart before you could not distinguish 2 from 1 mushed line. Now we attribute this to the sensor MegaPixel Size. Resolution is not an easy concept to grapple with, as the sensor might have '24 megapixels' but as you will find out below, the 'true megapixels' is often substantially less, hence advertised 'resolution' is much less than 'true' resolution. Sensor Size: Medium Format, Full Frame, APS-C (Crop Sensor), Micro 4/3 etc. Are terms that denote sensor size. The sensor in effect is a piece of silicon designed so it can pick up light, and translate light from its physical property into a digital signal. The larger the sensor, the more megapixels one can fit onto it to get the same noise output e.g. Nikon D810 at 36MP has around the name noise performance as the Nikon D7100 at 24MP, if anything the Nikon D810 has cleaner output ISO for ISO. The manufacturer can also choose to have less megapixels on larger sensors, to increase its performance, as evidenced by the Sony A7S (a full frame sensor), whose noise performance at ISO 25,600 is as clean as the Nikon D810 is at 6400 i.e. 2 stop advantage. However, because the silicon is larger, there is a greater chance that the photosite (photosites are what make up the sensor, the tiny things that pick up light) will be defective in a certain region, which if the region is large enough, will lead to a sensor failing quality tests and thus discarded. Defective photosites can either be black on the final image i.e. no digital output, or light up brightly on the digital output. If minimal photosites are defective, manufacturers usually program the firmware to ignore the output from those. Sensor Dynamic Range: How much ‘light range’ a sensor can see i.e. a ratio based on the brightest to the darkest light intensities (very simplified). The higher the number, the better. It allows for easier workflow post production e.g. better shadow recovery, especially apparent in cameras which use new generation Sony sensors. Larger dynamic range is classically also associated with larger sensors, although recently advances in sensor technology have been closing this dynamic range gap between sensor sizes. Sensor ISO performance: How good a sensor can see when higher currents are forced into it so its output is greater i.e. can show up light in the final output image better. More current = more heat, which in conjunction with amplifying the signal, and intrinsic 'defects' by sending more current through a sensor means more noise. There are many patterns of noise, false colours etc Noise is bad, unless you are trying for a certain effect. Noise also reduces the dynamic range of a camera, hence when taking photos aim for the lowest ISO you can get without inducing shake in your images. Again classically larger sensors were associated with better ISO performance, and classically Canon have performed very well at high ISO while noise patterns tend to be cleaner and less compared to comparative systems with comparative megapixels from competing manufacturers. Recent advances such as the Fuji X-Trans CMOS sensors (which are only 4/3" in size) have been closing the gap between what had traditionally been a pattern that larger sensors = less noise for same ISO vs smaller sensors. Sensor technology: Most of today's sensors are based on what's called a Bayer Array. Simply put, this is a way to detect and interpret incoming light into a digital signal. Inherent with this kind of array though is Aliasing error aka moire i.e. false colours and wavy lines when there are close repeating patterns such as a checkered shirt or fly net. This was partially overcome by installing an Anti-Aliasing (AA) filter, which effectively blurred the many incoming light rays ever so slightly to combat this, at the expense of resolution. However, a lot of camera makers are now abandoning the AA filter, as on camera image processing advances reduce the visibility of Aliasing, with the added benefit of increased image resolution. Other technologies such as Fovean sensors which, due to their design, do not have issues such as Aliasing, but suffer from other issues such as poorer ISO performance. 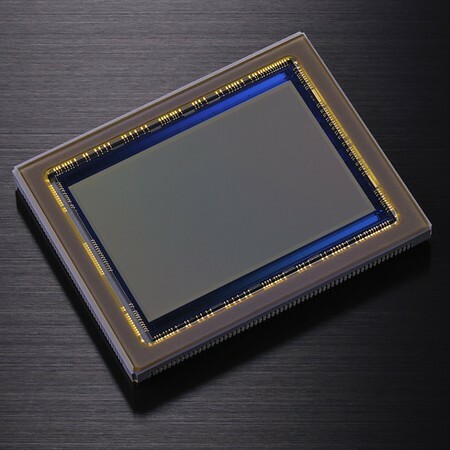 CCD sensors offer higher bit depth than CMOS sensors (which are in most cameras) i.e. it can 'see' more colours, and hence colour graduations are much smoother, useful for genres such as portrait photography where skin tones can have the most subtle of graduations. However, they again have poor ISO performance, and together with their large camera size as bigger sensors need bigger mirrors, limits their use to mostly controlled studio environments. DSLR: Digital Single Lens Reflex camera. Simply put, the optical viewfinder is linked to the lens directly as is the sensor, so what you see is what you'll get i.e. if you zoom in 60mm, you'll get 60mm, and you'll see 60mm before you take the picture. Other factors such as viewfinder percentage cover i.e. how much of the actual world is seen in the viewfinder, will affect your field of view. Higher end cameras will have a 100% field of view, while lower end cameras will often end up 95% field of view i.e. your camera will take an image that has 5% more area than what you saw through the viewfinder. The negative of this technology is that the brightness of what you see will be limited by the aperture of your lens. The smaller the aperture, as is found in lower end lenses, the darker the image will appear to you. This may make composition harder. This is in contrast to cameras such as Rangefinders e.g. Leica M9, where the optics you're looking through to focus is different from what the sensor optics 'looks through (i.e. the lens)'. This issue becomes problematic when this type of camera gets close to objects. Try looking at an object close, close one eye, then close the other. See the image appears differently? The Rangefinder will suffer the same issue of what you see (say your right eye) and what the camera will record through its lens (say your left eye). This is known as the parallax phenomenon, making rangefinders difficult to use for macro photography. The benefits of this system though is a significantly smaller camera footprint compared to your typical DSLR. Mirrorless: Effectively like a DSLR, but without the clunky mirror and prism that is what makes them so large, and hence no optical viewfinder. The sensor is directly linked to the lens. No mirror to deflect the image to an optical viewfinder. What you see at the back of the camera is the direct output from the sensor. Massive advantages, such as brighter images, generally 100% field of view. They also tend to have autofocus points scattered over a much larger area of the sensor compared to DSLRs, which tend to have them clustered nearer to the centre. Massive disadvantage is substantial battery drain, as the sensor is always on, and together with an LCD uses a lot of power. Autofocus is also slower than DSLRs, but that gap once again is closing substantially with every generation. Mirrorless can also have interchangeable lenses, or fixed lenses, depending on brand and model. DSLRs universally will these days have interchangeable lenses. As we will discuss later, the right lens for the job is crucial. In the next part of this series, I will be discussing lenses.